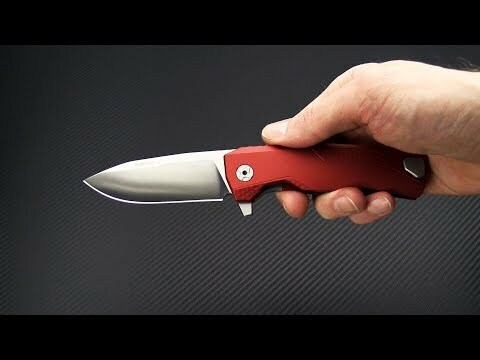 The ROK from LionSteel continues to push the boundaries of innovative knife design. Stand out features include the patented H.WAYL hidden clip system, NFC integrated knife box and the removable flipper tab design from the LionSteel T.R.E. for either one or two hand opening of the knife. 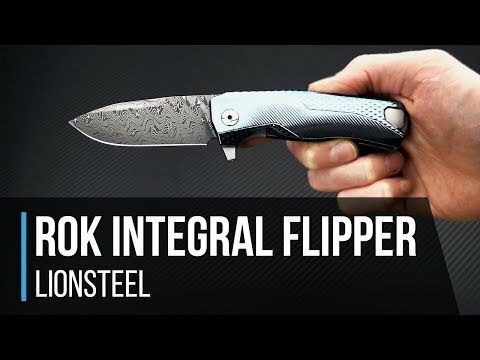 This is in addition to LionSteel's high end build quality, SOLID integral frame design, IKBS Bearing pivot and premium Bohler M390 blade steel. This knife is going to ROK the every day carry world with unprecedented levels of innovation, performance and style packed into a highly functional and ergonomic design. Brand new product directly from LionSteel Knives, Italy. Blade: The blade of the ROK has the Molletta signature profile with tall, drop point profile with plenty of belly. Made from Bohler's M390 the blade of the ROK will have excellent performance in edge retention and corrosion resistance and the satin finish, crowned spine and subtle top swedge add a refined style. The blade rides on an IKBS ball bearing pivot for optimal deployment and features a removable flipper tab that allows for one or two hand deployment options. Handle: The integral construction is built from a single piece of Red Anodized billet Aluminum milled using precision 4-axis machining. A combination of grooved and diamond texturing and milled contours delivers an excellent balance of comfort and traction in the hand. The ROK built with a steel insert equipped, integral frame lock mechanism with the added security of the Rotoblock system. The Rotoblock acts as a lock bar stabilizer and when engaged will completely block or lock the lock bar in the engaged position delivering "fixed blade like" reliability. The innovative, spring loaded H.WAYL clip automatically retracts into the handle when not in use for added comfort but is ready for secure carry with a slide of the button. Bohler M390: Bohler M390 has become an extremely popular choice for high-end user grade knives thanks to its extreme edge retention. M390 also has a good corrosion resistance, meaning most users can avoid problems by simply wiping off their blade after each use. Another great feature of this steel is its ability to resist burr formation during sharpening. Comparable steels are CTS-204P and Duratech 20CV.